So true. How do you move forward if you haven’t completely made peace with the past? It’s true of life, love and… haircuts. What was it like working with Emma Stone? Pure heaven. Emma is like a combination of the best of past classic cinema, and all the promise of the future. Magic. Bill Murray is a legend. What is it like working with him? I pinched myself every day. He said “Here’s the one thing you need to know about me – I’ll do whatever you want.” Which he did, adding his own amazing elixir as we went. A tremendous guy too. The crew gave him a five-minute standing ovation after his last scene. Why is the movie set in Hawaii? Any specific reason? Did you hire any Hawaiians from the local community where you shot the film? Not only was local community so inspiring to us, we wanted to hire many of them as actors and to make sure to pay respect and help educate everyone on the mainland about the rich history and culture of Hawaii. All of us, especially Emma and Bradley and Rachel, were very psyched about honoring Hawaii within the story of the movie. Check it out!! What was it like having Emma and Rachel together in Hawaii!? two of my all time favorite actresses! The scenes they appear in together are among my favorite. They are both very soulful, very funny and a blast to direct. Rachel really committed herself to knowing Hawaiian culture, and spent months there. Same with Emma learning about life as a fighter pilot. Bradley Cooper was amazing in American Sniper. How does he shift into comedy in Aloha? I think Bradley begins with a lot of research, and a physical transformation. To play Brian Gilcrest for our movie he was lean and hungry, when I next saw him for a screening of “Aloha,” he looked totally different. He was Chris Kyle. He’s a very specific, very inspiring guy, razor-sharp about every detail. How did you create the entire Aloha story? what was the process behind in? still jealous of you btw! Ha! It was a long process involving a lot of research on Hickam Air Force Base, and spending time with the native Hawaiian community too. The story grew and became personal. I’m always amazed that the more personal the story is that I tell —stories about real people, and the real moments in people’s lives — the more personally people are affected. I love making movies that way. Your films have amazing soundtracks. At what part of the film making process do you choose the music? It starts with the writing, and continues through the making of the movie. We play music constantly. The movies we make are like a chance to program a dream radio station. The actors always contribute too. If you made a Cameron Crowe soundtrack what songs would be top on the list? Almost Famous fan! Thanks! A soundtrack is like a mix you make for a friend. It creates a feeling, and it’s a message from the maker to whoever might listen… it’s a personal gift. Never bad to open with Marvin Gaye. What type of film would you like to create and direct next? Really enjoying our show for Showtime called “Roadies.” Incredible cast, lots of surprises coming your way early next year. It’s a show made by and about true music lovers. Excited for anything new from you. Is there a film of your own you’d like to make a follow-up to someday? Where do you get your inspiration to make your movies? Sometimes from a song, or from an image. Bill Murray’s final shot in “Aloha” was one of the reasons I wanted to make the movie. Did you get a chance to talk music w/ Bill Murray? Do you ever let actors have input into the soundtracks for your films? Hi John! I started talking music with Bill Murray after the first take. He told me a story about going to one of the last Grateful Dead shows at Winterland, and we were off and running from there. He often took the music cart that we used to play music, and rolled it around the set, singing and grooving like a minstrel. He loves Warren Zevon and Linda Ronstadt, and in the movie, you can see him throw down some serious grooves to Hall and Oates. And by the way — thanks to all of you who’ve communicated with us on Twitter and through our website, The Uncool. It’s a dialogue I really treasure. 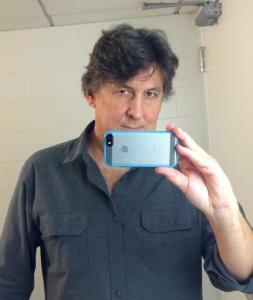 @CameronCrowe @IMDb Recap of yesterday’s IMDB Twitter chat? I just want wonderful things for this film. That it is successful, artistically and financially. @MoveThrough @CameronCrowe can’t wait! The man who made my favorite, Elizabethtown, makes a movie in magical Hawaii? Can’t wait! Brilliant. I am the biggest Elizabethtown fan…..cant wait for Aloha.